The Effects Database provides answers to queries in the form of a list of Effects, i.e. physical phenomena or applications of physical phenomena. Andrew has spent over 20 years developing and updating the Database in his own time. 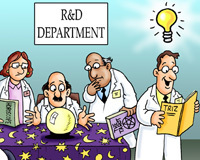 As a TRIZ user, teacher and facilitator I hunted for an effects database that had no barriers to use (no signing up, signing in, adverts or invoices) and was also way more comprehensive than any other free-to-use system. It had to be genuinely useful to real-world problem solvers as well as those learning TRIZ. Nothing out there fitted the bill and so, dear reader, I made one. Why use the Effects Database? How do I move a liquid? How do I increase temperature? How do I measure pressure? The Effects Database then provides answers to such queries in the form of a list of Effects, i.e. physical phenomena or applications of physical phenomena. 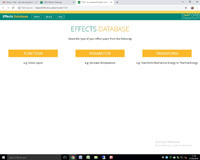 For helpful instructions for using the Effects Database, then click the HELP button once you have visited the Database via the link below.